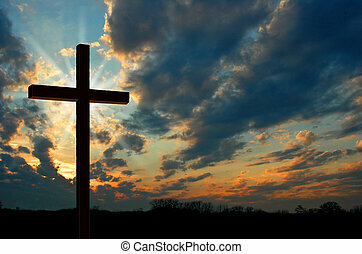 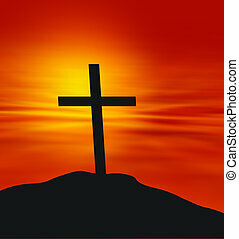 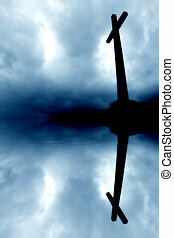 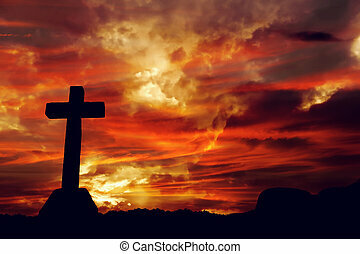 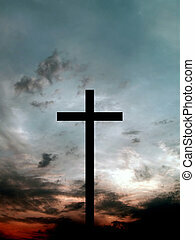 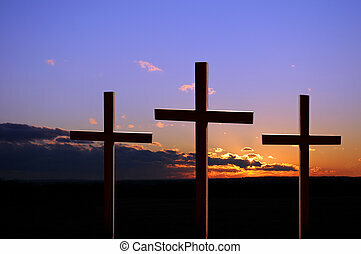 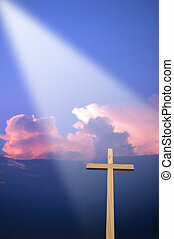 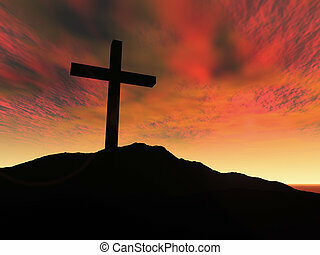 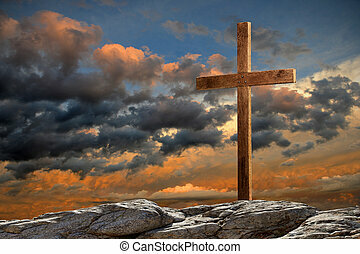 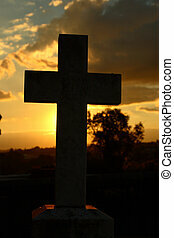 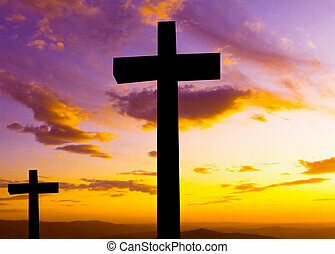 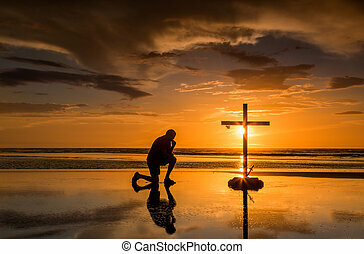 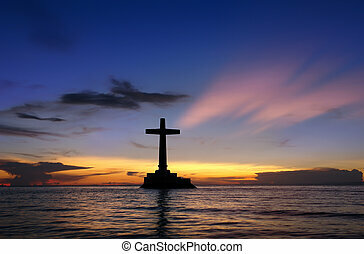 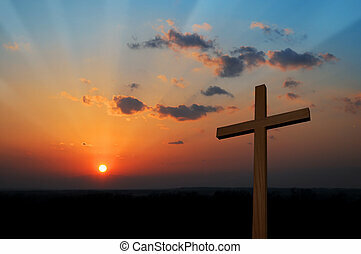 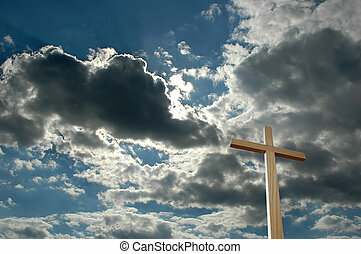 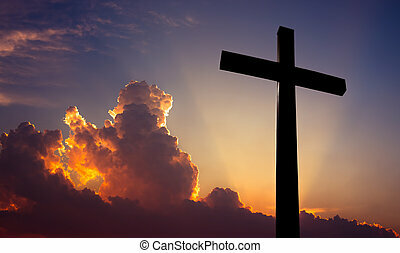 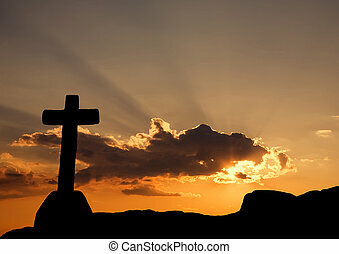 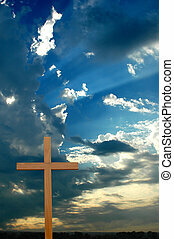 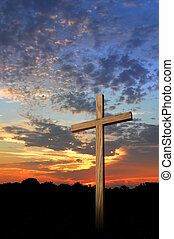 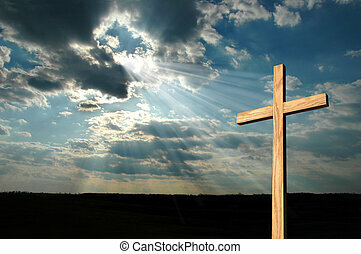 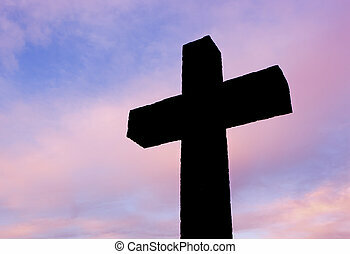 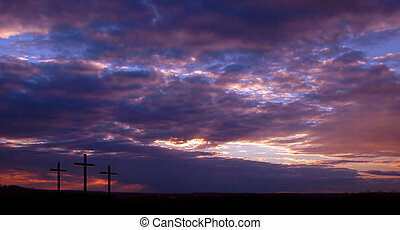 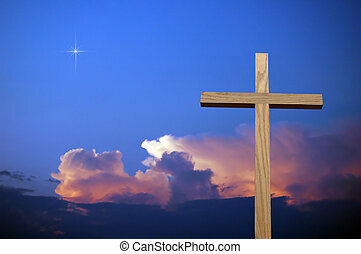 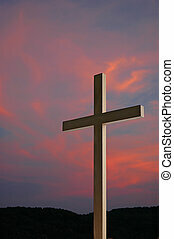 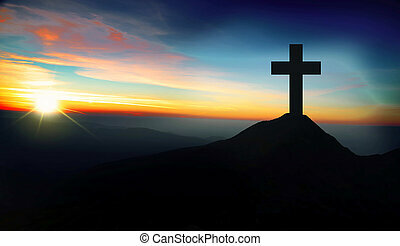 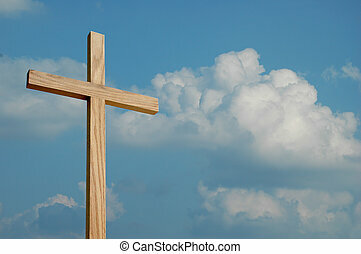 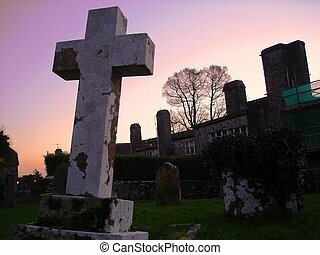 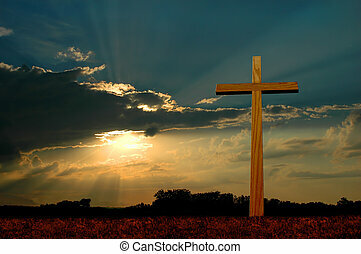 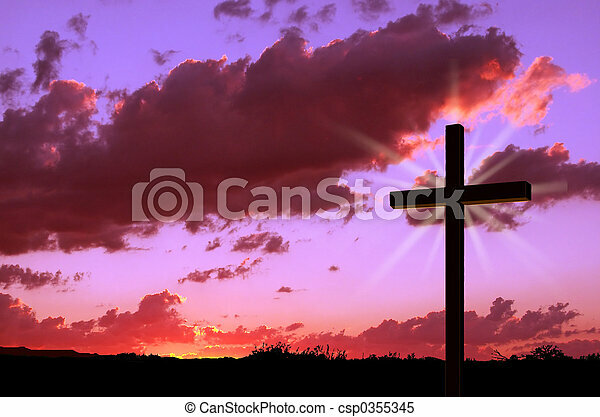 Cross and sunset. 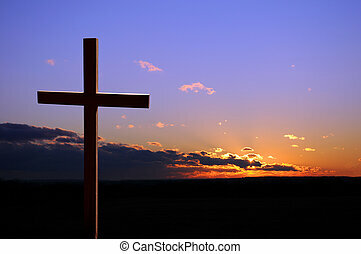 Cross and sunset. 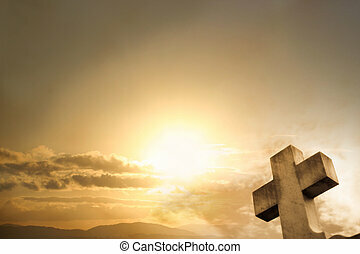 Man knelling by a cross with a crown on sword on it.